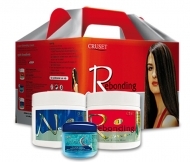 Home Hair Care Hair Straightening Cruset Rebonding Cream 250 and 500 ml. Cruset Rebonding Cream 250/500 ml. 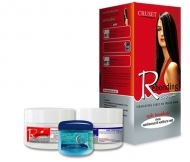 Straight curly or frizzy hair and hard to manage. Add another Treatment with Cruset Aqua Soft which enrich nourishing efficiency with double active proteins complex, protects hair from the heat,provides shiny,volumized and healthy.